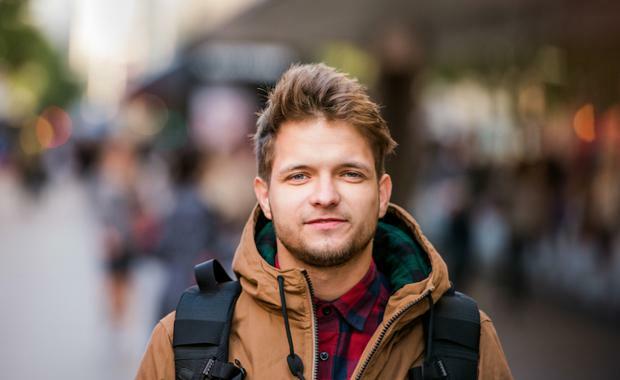 Australia attracts more international students than Britain and there are opportunities to extend this reach further as the number of international students globally is forecast to increase from around 4.5m currently to between 7m and 8m by 20251 , according to JLL's Student Accommodation Market Review 2016, released in November. With international students now accounting for more than a quarter of all higher education enrolments. 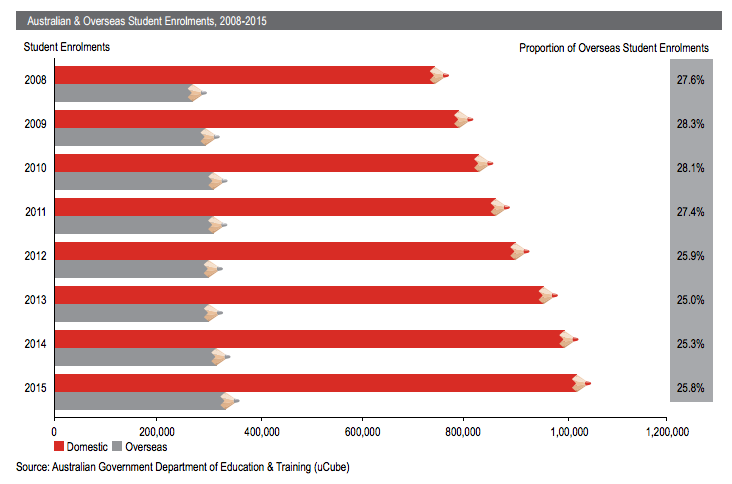 Education is now Australia’s second biggest export industry behind mining. Total tertiary education student numbers for 2015 continued their ongoing steady growth to reach over 1.4 million for the first time. This total represents a 2.7% increase over 2014, with domestic student enrolments increasing by 2.1% and international student enrolments growing by 4.5%. Whilst overseas student enrolments numbers are at record levels, their overall share of total enrolments is largely unchanged over the past four years at 26%. This ratio reached its highest in 2009 at 28% indicating there is still ample opportunity for this sector to expand further. 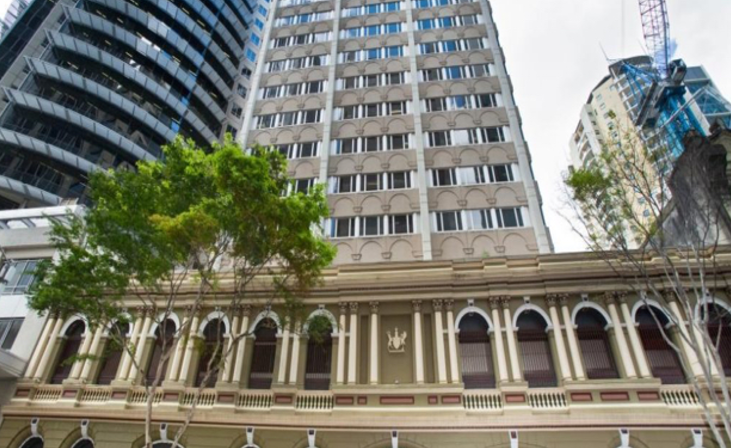 Cromwell Property Group has received DA Approval for 954 student beds atop the heritage listed Forestry Building, located at 154 Mary Street & 147- 163 Charlotte Streets, Brisbane. As expected, China is the largest driver for international student enrolments. It recorded very strong growth in 2015 after only a modest increase in 2014. India has continued to record very strong annual now easily represents the second largest source market for students in Australia with average growth of 21.6% over the past two years. As this market continues to expand, the preferences of Indian students will become an increasingly important consideration in the PBSA market. JLL’s analysis of the existing supply of accommodation considers the six main Higher Education cities across Australia (Sydney, Melbourne, Brisbane, Adelaide, Canberra and Perth). Historically the supply of student beds in Australia was dominated by university owned or affiliated providers. However, the ongoing increase in beds has been largely driven by commercial providers, resulting in commercially operated beds now accounting for the majority of total stock. Source: JLLThe majority of all supply is concentrated in Sydney and Melbourne, which collectively account for around 58% of total beds. Whilst these two markets have also been the source of most of the new supply over the past 12 months, several new projects in Brisbane have also recently been completed as this city looks to rapidly expand its PBSA offering. 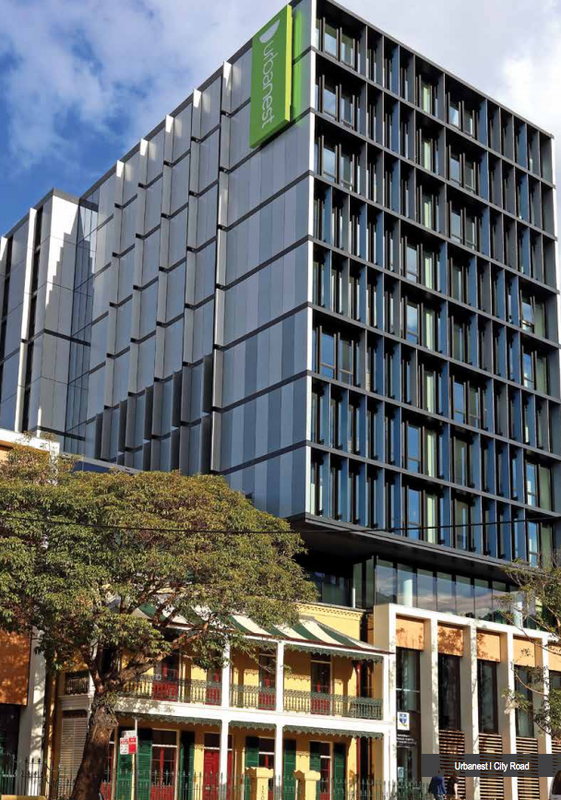 Recent openings in Brisbane have included the repurposing of 363 Adelaide Street (formerly Boeing House) and Iglu’s new tower on Mary Street, Brisbane. Collectively these two developments have added over 1,000 beds to Brisbane existing supply. The student accommodation market during 2016 has gained further momentum as an investment grade asset class evidenced through the level and type of capital that has been invested in the PBSA sector. This interest has been encouraged by various state and local governments who are looking to encourage investment and further diversify their economies. Source: JLLThe high level of site acquisitions across Melbourne and Brisbane with Sydney only being restrained by the lack of suitable sites rather than a lack of demand for this location. 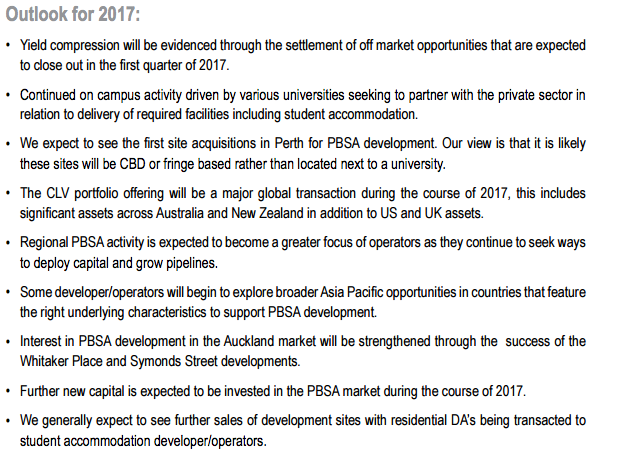 The 2016 year has been characterised by the existing players in the sector expanding their pipeline through site acquisitions. In addition there have been some new entrants to the sector, although the opportunities are more limited for new entrants given the strong expansion phase that existing players are currently in. 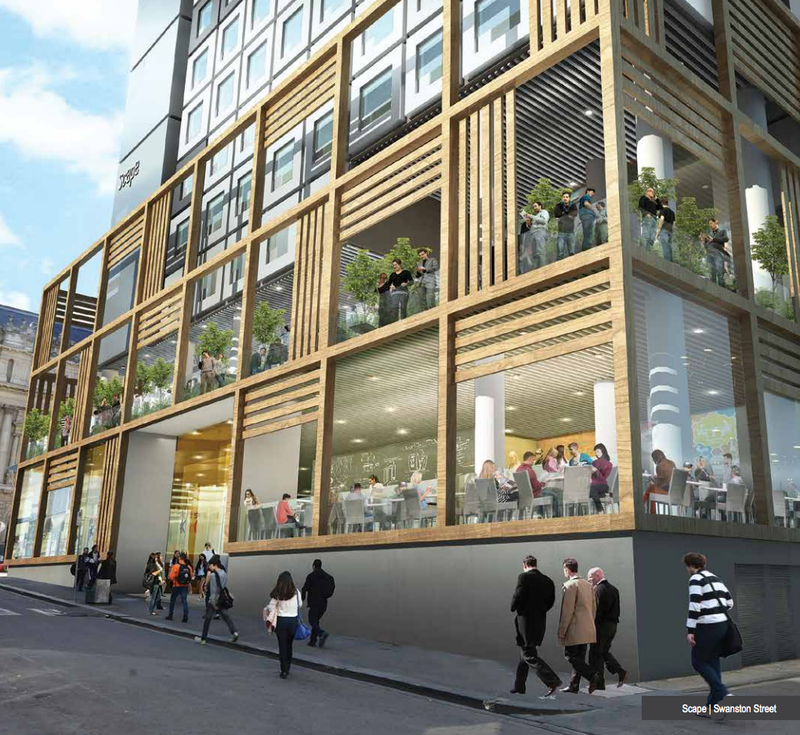 Top Eight Owner Operators of 2016The softening of the inner city residential markets has begun to result in the delivery of opportunities for student accommodation operators to acquire development sites that were previously planned for residential apartment development. The top 8 owner/operators of 2016 are summarised above which is based on ownership only and excludes operators who just manage assets. JLL's 2017 outlookThe JLL Student Accommodation Market Review is an annual publication detailing the state of Purpose Built Student Accommodation (PBSA) market in Australia. • The competitiveness of Australia as a place to study has improved significantly in recent years, primarily due to the fall in the value of the Australian dollar. This improved competitiveness has resulted in a substantial increase in the number of foreign students within Australia after several years of stagnant growth. Sydney and Melbourne appear to have been the major beneficiaries from Australia’s greater competitiveness. • The number of international students in Higher Education has continued its recent strong growth, with growth of 9.7% recorded in 2015. Source: JLL• India has continued to record very strong annual growth and now easily represents the second largest source market (after China) for students in Australia with average growth of 21.6% per annum over the past two years. • Victoria continues to lead the way as a destination for overseas students accounting for approximately 36% of all enrolments. Monash University and RMIT University both have more than 20,000 overseas full time students enrolled. • There are around 64,150 beds in PBSA across Australia’s top six metropolitan localities. 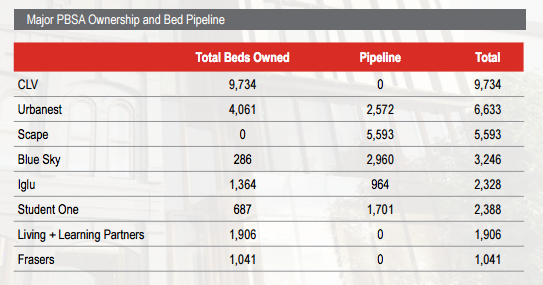 JLL estimate the market has added around 6,000 beds over the past 12 months. • The scale of the development pipeline varies markedly by city with Brisbane and Melbourne having particularly active markets. 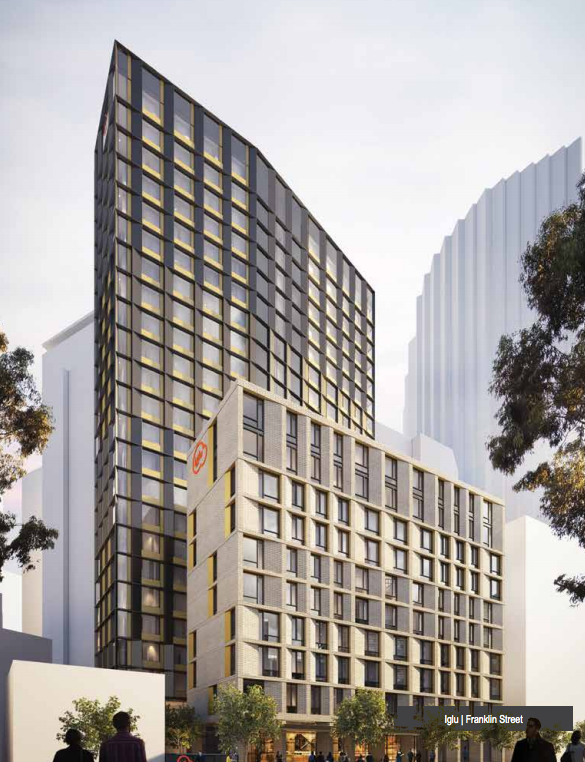 Competition for sites is restricting the pipeline in Sydney whilst Brisbane may experience some slightly longer initial take up periods if all beds proposed are developed, however, we do not expect that all proposed projects will go ahead. • Rents have continued to be maintained at strong levels across the primary markets of Melbourne, Sydney and Brisbane.